Joan Rivers left behind an estate estimated to be worth $150 million. Reports indicate that her estate was relatively simple – she left the majority of her estate to her only daughter, Melissa, and to her grandson. Then there was a more complicated estate planning strategy utilized by Rivers – she made sure her dogs would be taken care of after her passing. She owned two rescue dogs who lived in her New York apartment and two other dogs who lived in her California home. Rivers made sure to designate who would take care of her pets and left adequate funds for their care. Many pet owners worry that providing for pets through their estate plan could be more costly than it’s worth. However, it isn’t as hard as some people might think. Trust laws vary in each state, but traditional pet trusts are effective and available in all 50 states. These pet trusts allow you to make very specific arrangements about the type of care you want your pets to receive and who you designate for their care will be used during the pets’ lifetime. In addition to naming particular caretakers both for the pets themselves and for the money left for their care, pet trusts let you go into as much detail as you want about how exactly your pets should be treated, according to Daily Finance. Unfortunately, many people fail to set up a pet trust since it requires an up-front cost that may dissuade pet owners from following through. If that is the case, many states offer a different type of trust called a statutory pet trust. This type of trust makes it much simpler for pet owners to provide for their furry friends. Rather than requiring the owner to list duties and responsibilities, these trusts incorporate basic default provisions that give pet caretakers broad discretion to use their judgment to care of your pets. Either way you go, it is important to have some sort of plan in place. Otherwise, your beloved pet may end up in shelter. If you are looking to set up a pet trust, it is best to sit down and speak to an experience estate planning attorney in your area. In 2007, Anthony J. Ferrantino was suffering from a terminal illness, so he sought the assistance of his niece to help him write a Last Will and Testament and Revocable Living Trust. They decided to use a popular web site, LegalZoom. Unfortunately, once the LegalZoom documents were created and signed, Mr. Ferrantino’s assets could not be funded into the Revocable Living Trust because the financial institutions that held Mr. Ferrantino’s money would not accept the LegalZoom documents as being valid. LegalZoom provided no assistance to Mr. Ferrantino’s family when they had questions and needed help in getting the trust funded. Sadly, the trust still had no funds when Mr. Ferrantino passed away a few months after completing the LegalZoom documents. The result? A lawsuit was filed against LegalZoom, since the Ferrantino family is not alone is confronting the stressful, disheartening realization that their LegalZoom estate planning documents are flawed and unacceptable in a court of law. The lawsuit claims that “nowhere in the [company’s] manual [does LegalZoom] explain that using LegalZoom is not the same as using an attorney,” and highlighting the fact that “the customer service representatives are not lawyers and cannot by law provide legal advice,” according to Elderlawanswers.com. I understand why people are attracted to a site like LegalZoom. It’s quick, cheap, and you get an almost-immediate product that you are led to believe is legall sound and valid. Sadly, many families wind up in virtually the same situation as the Ferrantino’s when using LegalZoom. The fact remains that a computer program, no matter how sophisticated, cannot address the vast array of the unique family and financial issues of each individual. The lesson – avoid the serious pitfalls associated with LegalZoom and hire an experienced, competent estate planning attorney to help you prepare your last will and testament, revocable trust, durable power of attorney, and other important documents. An estate planning attorney will actually be able to sit down and talk to you and craft an estate plan that is specifically geared to your particular situation and financial circumstances. There’s no doubt that LegalZoom is popular, but popularity does not replace quality. The Uniform Law Commission, a group of influential lawyers appointed by state governments to help standardize state laws, endorsed a plan to give loved ones access to, but not total control of, all digital accounts of a decedent, unless otherwise specified in the decedent’s will. As we’ve ventured into the digital age, virtually everyone has vital information and profiles saved and published online. When someone suddenly passes away, it can be a huge hassle to gain access to their online accounts to either shut them down or retrieve important information like account numbers and/or passwords. Also, a decedent’s postings, photos and videos can have financial value. For example, think of the digital files being amassed by someone of historical value, such as Bill Gates or Hillary Clinton. Those files would have significant monetary value. So here is how the proposed law would work: the personal representative of the decedent would be able to access, but not have total control of, a decedent’s digital files, as long as the decedent doesn’t prohibit this access in their will. This law would supersede access rules listed in a company’s terms of service agreement, though the personal representative would still have to abide by other rules including copyright laws, according to the Virginian Pilot. For example, a widow who just lost her husband, could gain access to his Gmail account, but can’t send emails from that account. The widow could also gain access to his music and video files, but not copy the files, if doing so would violate licensing agreements. Okay, so if the Uniform Law Commission endorses this legislation, will it automatically become law? No. To become state law, this legislation would need to be adopted by your state’s legislature. For example, Virginia passed a law regarding access to digital assets. We published an article on this new law here. Hopefully, more states embrace this type of digital access legislation. Losing a loved one is already heartbreaking and stressful. Allowing access to their digital accounts will likely help bring a sense of closure and allow the personal representative to fully utilize all of the decedent’s vital information in managing their estate. The U.S. Supreme Court held in Clark v. Rameker that inherited IRAs are not “retirement funds” within the meaning of 11 U.S.C. §522(b)(3)(c), a federal bankruptcy law. This means inherited IRAs are available to satisfy creditors’ claims. The Court relied upon three factors to differentiate an inherited IRA from a participant-owned IRA. The three factors include: (1) the beneficiary of an inherited IRA cannot make additional contributions to the account, while an IRA owner can, (2) the beneficiary of an inherited IRA must take required minimum distributions from the account regardless of how far away the beneficiary is from actually retiring, while an IRA owner can defer distributions at least until age 70 ½, and (3) the inherited IRA beneficiary can withdraw all funds in the IRA at any time and for any purpose without a penalty, while an IRA owner must generally wait until age 59 1/2 to take penalty-free distributions. The ramifications of the Clark decision in estate planning cannot be understated. Why? Because the rationale applied in this case could extend to all inherited defined contribution retirement plan accounts, including inherited 401(k) and 403(b) accounts. There are several ways to try and protect these assets from your beneficiaries’ creditors. One possible solution may be to create a Standalone Retirement Trust for the benefit of all of the intended IRA beneficiaries. This type of trust offers some distinct benefits: (1) protecting the inherited IRA from each beneficiary’s creditors, (2) protecting the beneficiary from gambling away the inherited IRA, and (3) permitting minor beneficiaries, such as grandchildren, to be immediate beneficiaries of the inherited IRA without the need for a court-supervised guardianship. This is not an exhaustive list of benefits, just a sample. Additionally, you can get similar benefits to a Standalone Retirement Trust by including certain language in a revocable trust and naming it as the beneficiary of the IRA. Both of these strategies have pros and cons, and it is extremely important to talk with an experienced estate planner working closely with your financial advisor to discuss your specific situation and concerns. Multiple states, including Alaska, Arizona, Florida, Idaho, Missouri, North Carolina, Ohio and Texas either passed laws or had favorable court decisions, post-Clark, that protect inherited IRAs under state bankruptcy exemptions for federal bankruptcy purposes. This means if you live in one of these states, you may be able to protect your inherited retirement funds by claiming the state exemption instead of the federal exemption. But be careful – federal bankruptcy laws require a debtor to reside in a state for at least 730 days prior to filing a petition for bankruptcy. This means if you’ve only lived in one of the aforementioned states for a period less than two years, you may not be able to take advantage of the state’s bankruptcy exemption. The Clark decision is a prime example of why you need to sit down and talk with an experienced estate planning attorney. These decision are not something that be done with a cookie-cutter estate plan you download from the internet. You need someone knowledgeable about all of the different beneficiary choices for retirement assets, and how those will fit with your personal estate planning goals. In an ideal world, an elderly loved one would get to enjoy their golden years and pass away peacefully and painlessly. Unfortunately, such an ideal world doesn’t exist. In reality, when an elderly loved one becomes stricken with a disease like dementia, the end is painful and traumatizing. Case in point: the heartbreaking state of affairs for Casey Kasem (picture on right), a beloved radio personality. 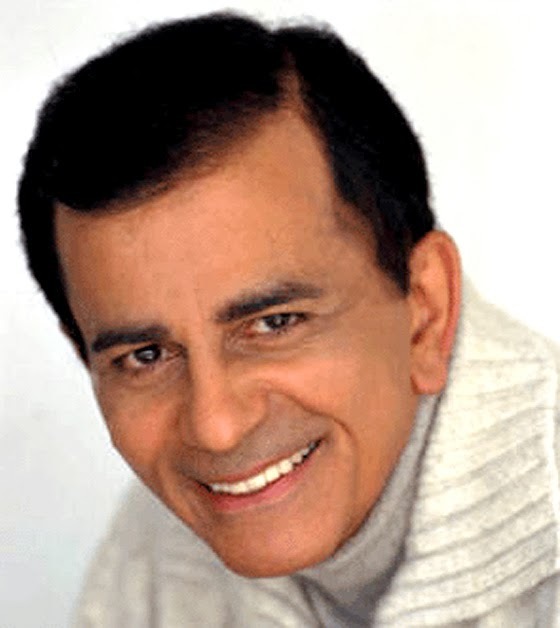 Mr. Kasem has Lewy body disease, an agreesive form of dementia. He was in the headlines recently after disappearing for a number of days. A California judge issued an order prohibiting Mr. Kasem from traveling anywhere without a court order until he is examined by a doctor. This sad state of affairs in the Kasem household is a prime example of why you and your loved ones need to properly plan for the possibility of mental incapacitation. You can add your own personalized definition of disability along with personalized instructions on how your affairs will be handled and who will be in charge. Essentially you can control how and when you give up control of your affairs. If you do become mentally incapacitated, you don’t want your loved ones to be left without any guidance on what to do, and you probably don’t want a judge to be making these very personal decisions over your care. Take the time to plan accordingly.